When our flats were ready, mom was in such a hurry to get them on their way, she didn’t take them horseback riding before they left. I’m sure they’ll get a great ride when they return from their first few visits. 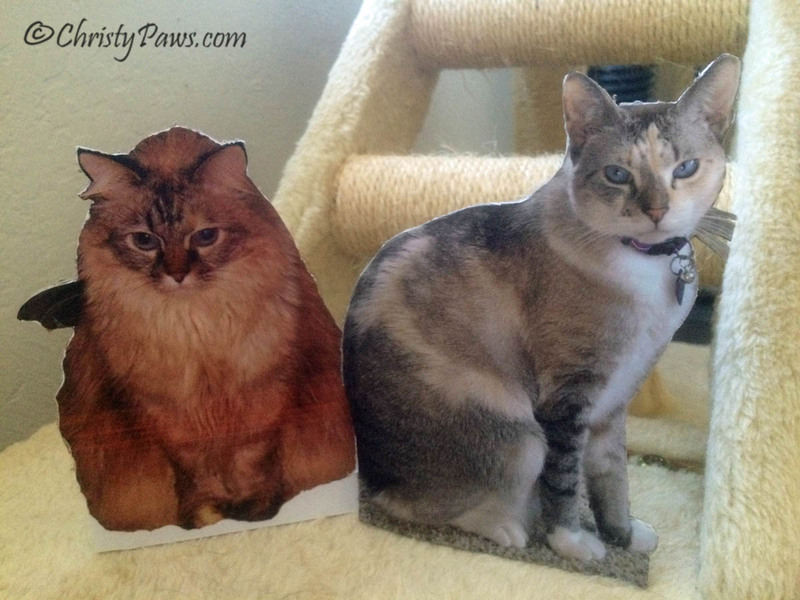 Our flats headed off to The Canadian Cats but Shoko didn’t know Dezi, aka Izzy, was coming! I think she was quite surprised. Now, on to the serious business of this post. I just learned about the Tuesday’s Tails Blog Hop which starts on Tuesday each week so I am a day late, but beginning next week, we will feature our adoptable kitty on Tuesday rather than Friday. 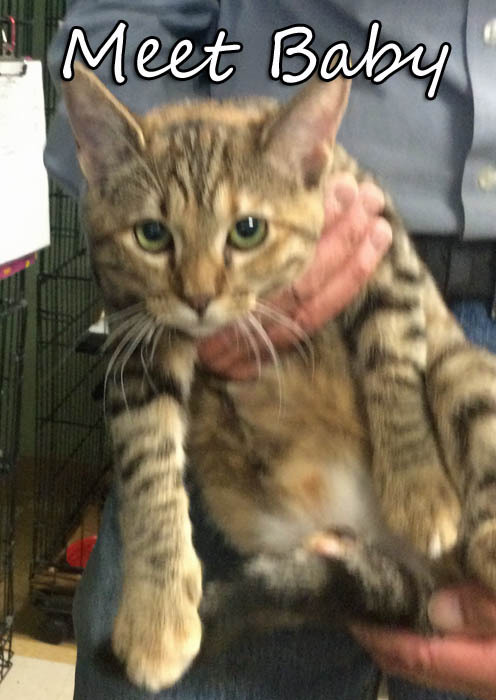 This adorable 6-month-old girl was turned in to the shelter as a stray when she was four months old. She is a sweet, playful beauty with bright green eyes. She can be seen at the Feed Barn in Jackson, CA. This girl has been spayed and has had all of her shots, including rabies! 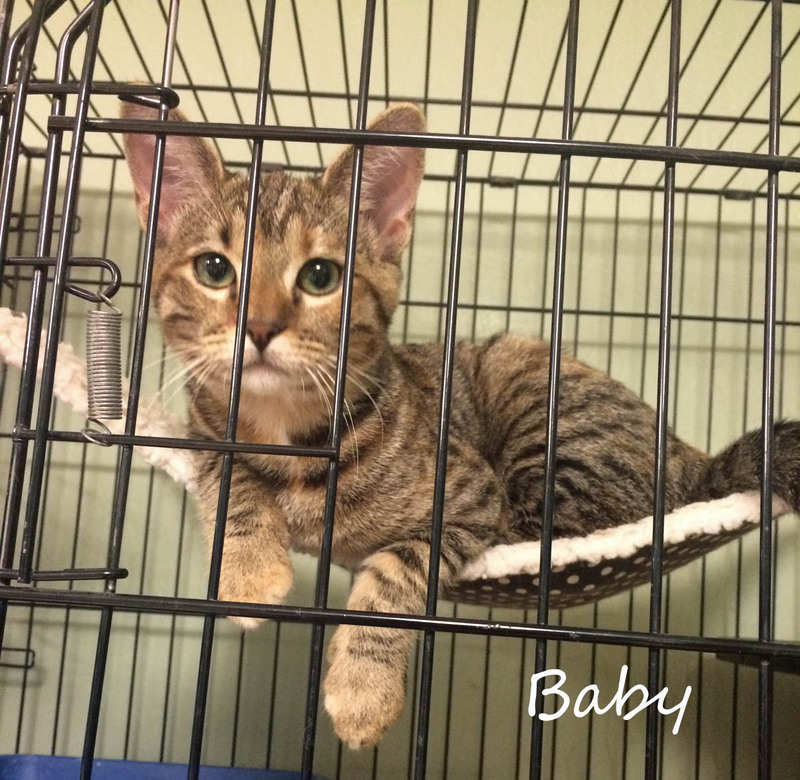 Please share to help Baby find her forever home. More blog hops. 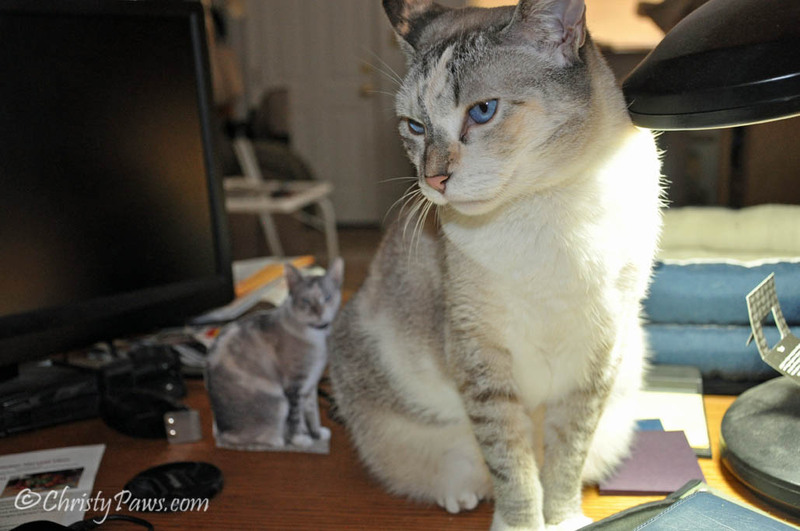 Click on the badges to see the Wordless Wednesday entries or join in the fun. Tagged A-Pal Humane Society, adoption, available for adoption, blog hop, cat, Christy, Dezi, flat cats, Izzy, opt to adopt, Tristy. Bookmark the permalink. What fun you are going to have!!! Oh yes the Tuesday Tails Blog Hop is fabulous!! We have posted on their Facebook page on days other than Tuesdays too and they are super nice that they always share no matter what the day is. 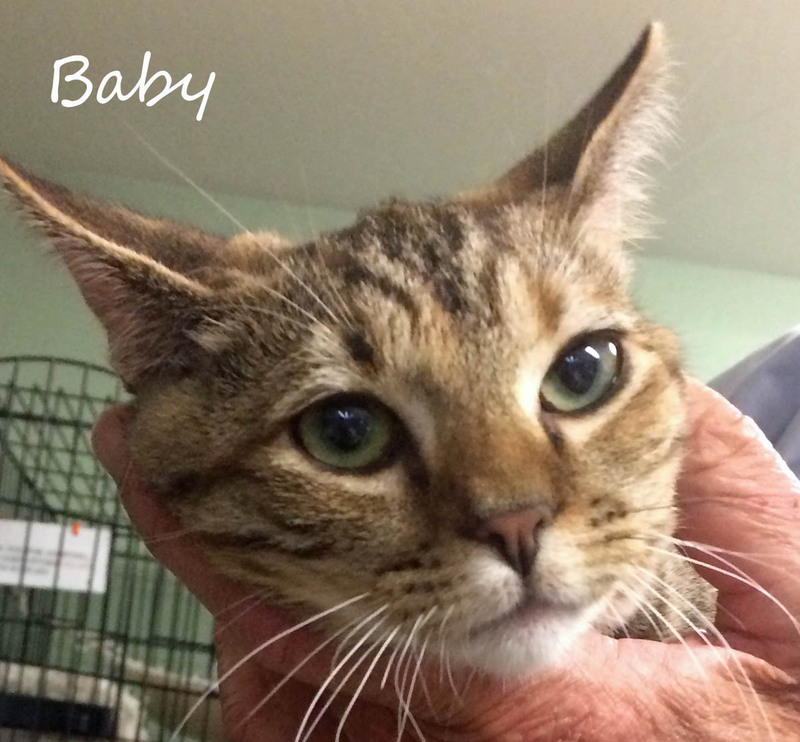 We purr baby will get a home. Woowee, we are having a hoot up here in Canada. Tristy and Izzy are perfect house guests. Quiet…except when the other flats, Kali and I get together and partake of the nip. You can hear us a singing up a storm in the backyard..
Baby is a gorgeous girl and if she was up here she would probably be adopted all ready. That is so great that yous is travelling with Dezi and Lexi! They is going to LOVES being part of the 3 Amigos! Sounds like you’re all going to have lots of fun adventures together. Baby is so cute! We hope she finds a forever home very soon. Have fun traveling, Izzy and Tristy! That was very sweet of you to let Dezi travel with you. I hope you are both coming to see us soon . She’s so adowable. And weez sure to have a blast twavelin wound Christy. Or shuld me say Tristy and Izzy will. Weez sharin and purrayin fur a pawsum home.